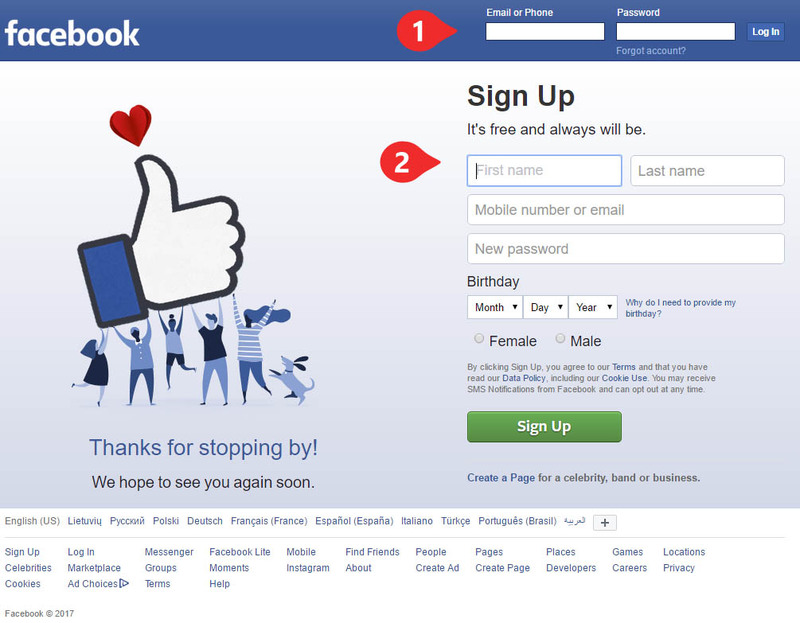 When you go to facebook.com, you might see this view. If you already have an account, type your email address or phone number and password in the fields and press "Log in"
You might see this window with suggested friends. 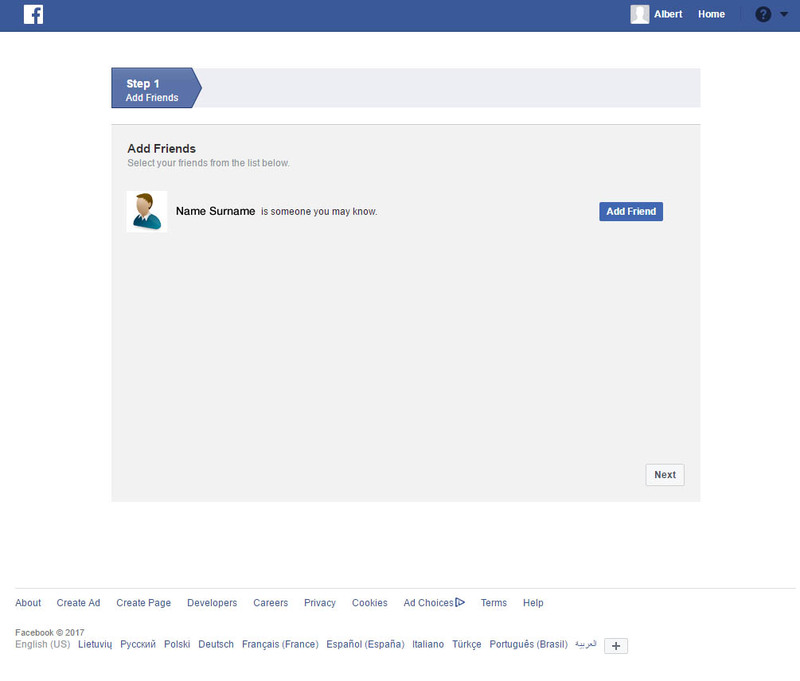 Click "Add Friend" if you want to add that person to your friends' list. 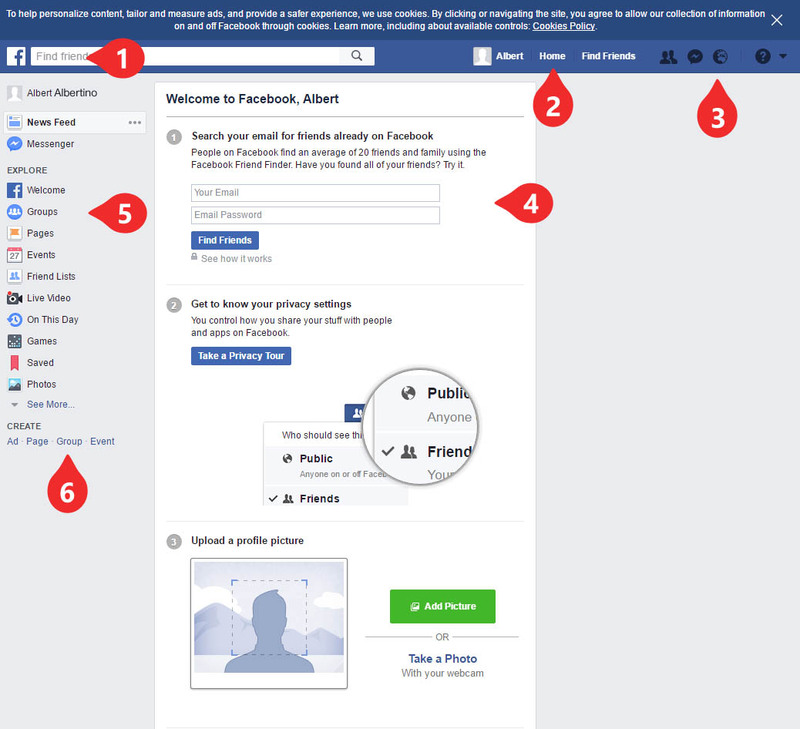 There are main options for what you might need to get started with Facebook. Pressing on Facebook icon leads you to homepage. Search field - you might search for more options. You might search for friends, groups, events, messages which were published from your friends or unknown people who are sharing it publically. Friends icon - shows you if there are new friends added. Message icon - shows if there are new messages. Globe icon - shows if there is something interesting happening. These steps will guide you to how add new friends by adding your email information (Facebook will automatically find friends). There is a lot to explore on Facebook. There is an option to create your own Page, Ad, Group or Event. You might also be asked to enter the code which was sent to your email account.